Volunteers are amazing people. They give hours upon hours of their precious time away for absolutely free. Just think about how much their work would cost if you had to pay them minimum wage. 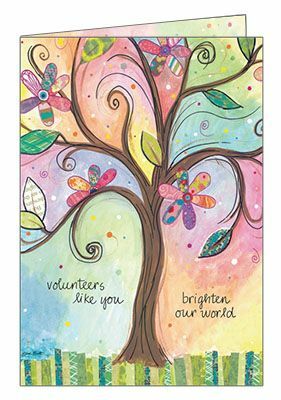 I can tell you understand this principle...because you're here, on a page dedicated to volunteer thank you cards. I know we understand. We're volunteers too. Our staff consists of Sunday school teachers, scout leaders and t-ball coaches...and that's important for you because our cards are made by volunteers, for volunteers. 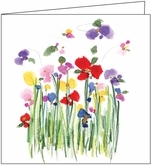 With thank you cards from it takes two you don't have to worry about crafting a lengthy personal message. If that's not your thing, no problem. It's our thing, and we do it well. Our cards feature short, heart-spoken messages so you can feel comfortable signing your name and popping it in an envelope. Go ahead, underline a few words if you want or spend the time to personalize a note, but know that you don't have to. You see, there's a secret behind thank you notes. The secret is that the act of giving a card creates almost all of the happy thoughts in the recipient. So by purchasing thank you cards and sending them, you've quickly created a win-win situation for you, your volunteers and your organization with very little work and even better...very little money. Do don't delay another second. Recognize the undying efforts and faithful dedication of your volunteers. They give their all to make your organization work. Recognize them with a thoughtful card. It's easy. Just click any of the purple 'Add to Cart' buttons and follow the instructions to checkout.